As you can see, the weather was cloudy and we only had some sun rays on friday. However, we were inside the BaselWorld building anyway. The first day of Basel was overwhelming. 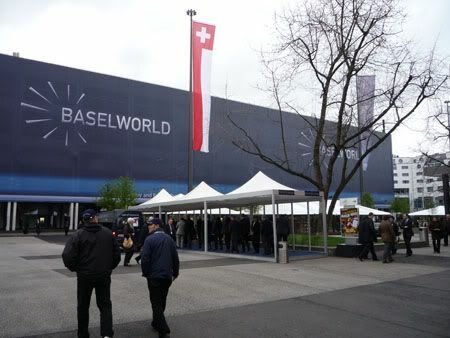 BaselWorld is so big and so crowded, I really had the feeling that I hadn’t see anything at the end of the day. Friday we were packed with appointments with brands like Blancpain, Glash?É¬ºtte Original, Jean Dunand and Jaquet Droz. We only had little time to wander around to see all the watches we wanted to see. However, I did meet for the first time with the Gr?É¬?nefeld brothers and got a nice introduction on their GMT06 watch (and had a few beers with them later on that day). We also teamed up with the people of a Dutch magazine called Watching and got invited for a nice diner organized by Nomos. 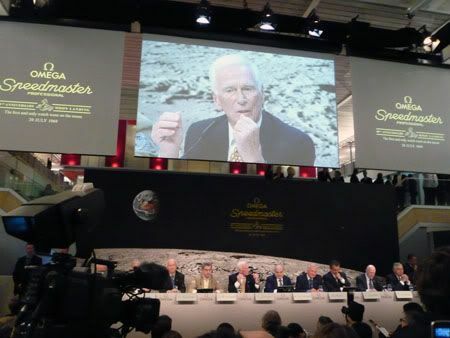 On of my personal highlights of BaselWorld 2009 was the introduction of the new Omega Speedmaster Professional 40th Anniversary edition by former Apollo astronauts (Aldrin, Duke, Schmitt, Cernan and Stafford) on saturday around noon. 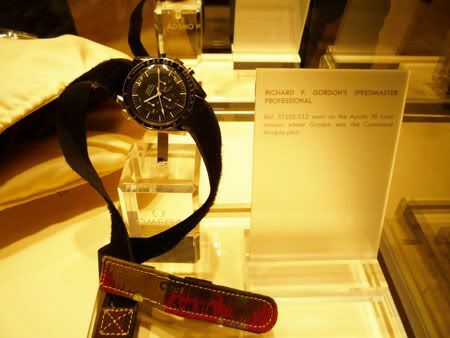 Omega also displayed some of their Speedmasters, used by the astronauts in the 1960s and 1970s. These watches are normally part of their museum watches (which is located in Biel, Switzerland). 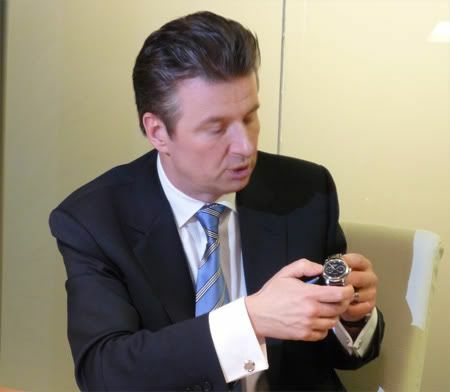 Another high light was our meeting with Maitres du Temps, the introduction of their Chapter Two watch by Steven Holtzman and an unexpected interview with master watchmakers Roger Dubuis and Daniel Roth. More on that in our detailed report later on. I also was pleasantly surprised by the product knowledge meeting of Glash?É¬ºtte Original, presented my Mr Meier, Managing Director of Glash?É¬ºtte Original. It was very easy-going, with a lot of humour and some old faces that were nice to see again. A big thank you to Mr Marx for the invitation! 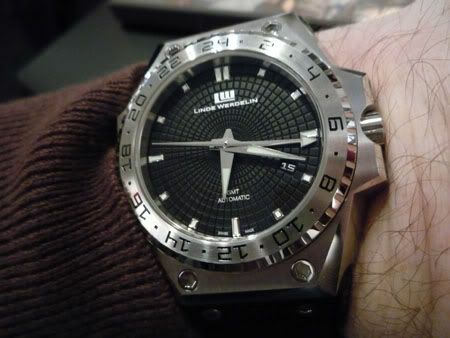 One of my personal favorites are the SpidoLite and 3-Timer watches from Linde Werdelin. We had a great meeting with Aphrodite of Linde Werdelin in their booth, and discussed all new models in detail. Aphrodite / Linde Werdelin really took the time (which is scarce for exhibitors on BaselWorld) to talk with us about their watches and professional instruments. Pictured above is the 3-Timer, which I really love! The dial pattern is amazing, and I love GMT watches. Below is their SpidoLite model (photo by Frank), with the Svend Anderson finished movement. 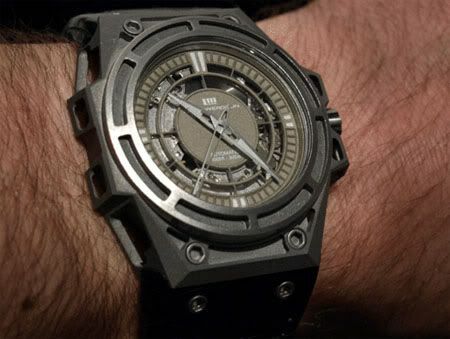 I wrote an introduction article on the Spidolite here already, but will do a more detailed review on Linde Werdelin’s watches in the near future. Last thing to mention here, is our unexpected interview with Bernhard Lederer of BLU (Bernhard Lederer Universe) and his wife. They introduced us to their brand and Mr. Lederer described the inner workings of the MT3 Tourbillon Watch. Keep an eye on Perpetuelle the coming days for more BaselWorld news!